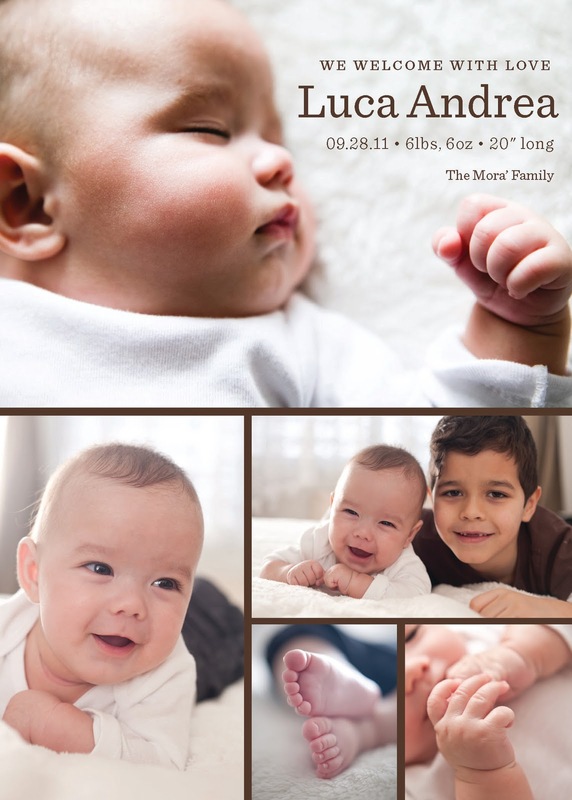 I haven't been thinking about promoting my baby announcements over the last few years, but with me being preggo and all, it's become something that is back on the front burner these days...or at least back on the stove! 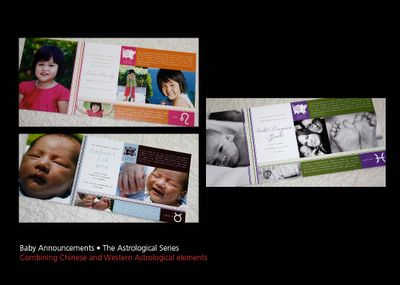 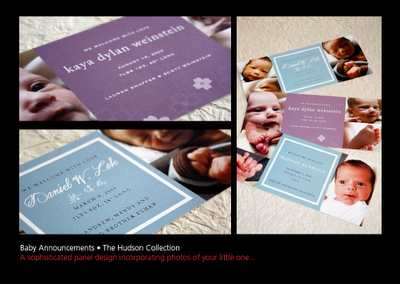 We also have simpler designs that just focus on photos of the baby in a very simple grid design. We still manage to customize the look with color and design elements along with cultural (addition of Chinese names) as well.